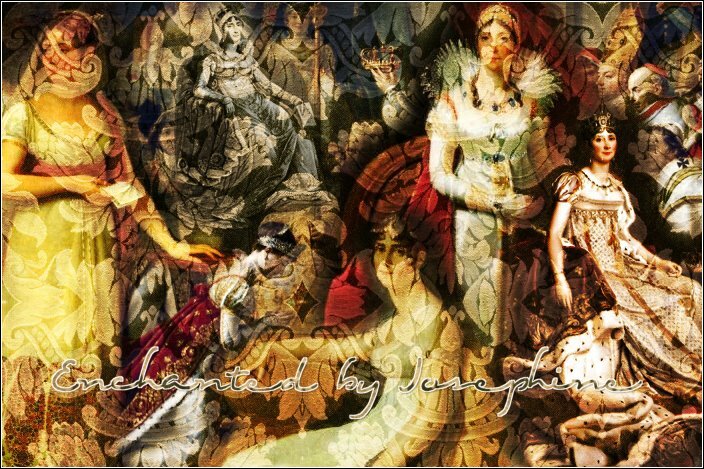 Enchanted by Josephine - ART & HISTORY Salon: The FRENCH HISTORICAL CHALLENGE- Oh-La-La!! Join me! Yay! I'm the first one in! I posted the button and made a post http://themaidenscourt.blogspot.com/2010/01/french-historicals-oh-la-la-challenge.html. I chose the lowest level - because I am challenge overwhelmed, haha. But I will probably increase the level as time goes by. Great idea Lucy! Count me in Lucy! What a French-tastic challenge! I will be posting this and putting it on my sidebar shortly! I'm not sure what level I'll reach, but I;m going for broke! Love them frenchies! Thanks for this challenge, Ms. Lucy. Hi Lucy, Thanks for coming by earlier. And yes...LOVE that button. And love having it on my page. I put your challenge in the blog post today and you can definitely count me in too! It is exactly what I need! I'll never keep up with you and Amy but I'll do my best to make myself proud! I'm in Ms. Lucy. The button is beautiful! Count me in for La Princesse for now. I will post tomorrow on my blog and let you know. Je ne sais pas le francais muy bien apres cinque ans dans l'ecole. oui oui! Je ne suis pas bon au français, mais j'aime lire! Also I'd love it if you'd like to post any of the reviews for the challenge :) love the button btw. I am so down for this! I love the button and I will get working on posting it up asap! I will come back and post my link. Sign me up, Lucy! Here is my post about this challenge! We have some good ones to include for this challenge coming up at the Round Table. So excited!! I will definitely join this one. French history is so interesting! I will start with three books. I just have to say that I LOVE that name of this challenge and the idea! So original! I just HAD to sign up for this challenge! It sounds like so much fun! I have also added your fabulous button to my blog! I'm in - my signup post is here! The Queen's Confession by Victoria Holt - novel in the first person about Marie Antoinette. This was the book that launched my love of French history. 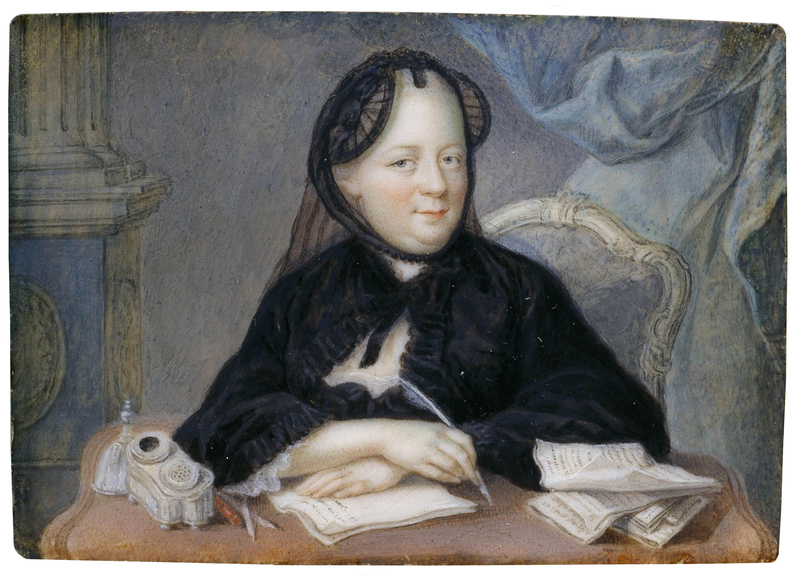 A Rose for Virtue by Norah Lofts - another first person about Josephine's daughter Hortense. I also enjoyed Desiree by Annemarie Selinko, about Napoleon's one-time fiancee who ends up as Queen of Sweden, Desiree Clary. I'd also like to ask for recommendations - for anything from the Second Empire/Empress Eugenie period. Looking forward to this great challenge. Have added button with link to sidebar. Sent you an e-mail, too. Thanks! I don't know how you manage it all. Short stories are about the only thing I can finish these days. You're amazing. I like your new look over here - so pretty in pink. You gave me the best chuckle this morning. One of the letters didn't make it onto a word and the sentence took on a whole new meaning. I've left you a message. Oui! I am rather excited! I look forward to months of reading fun! Thank you for hosting this fabulous reading challenge. Oui! I'm in too! Here's my post about the challenge. What a wonderful idea - I am definitely in! I would love to join this challenge but this year I've already joined so many that with full time study starting in a few weeks I don't think I'd have time to add books to my overburdened schedule. Hope you run it next year thought because I already know what books I'd read for it. I'd read the Jean Plaidy series set in France, well of course, that would give me an excuse to buy them. Next year for sure! I'm really excited for this challenge! I'm new to Blogger, and I want to start reading as much as I did when I was in high school so this is perfect for me. My signup post is now up. I am aiming for Princesse. I am currently aiming to read nine books (La Reine). I'm really looking forward to this challenge and seeing what everyone chooses to read! We're promoting your contest on the Francophilia Gazette! Ooh la la, count me in. Just got two new French history books today. I am reading The Queen's Dollmaker so that'll be my first read for the challenge. My blog just changed servers, so I'd like to update it, Miss Picky's Column is now here. I've joined the challenge and posted about it here. I should just sign up for this challenge, since I've been thinking about it for a few days and have my books half picked out already! I'll start with 3 books and see where I go from there. I'm in. I'm going for "La Princesse". Can non-bloggers join? I am new to reader book blogs and challenges and would love to try this challenge. I'm in at La Princess and see how i go . First time blogger here... made a blog after an inspiration from this blog and challenge!